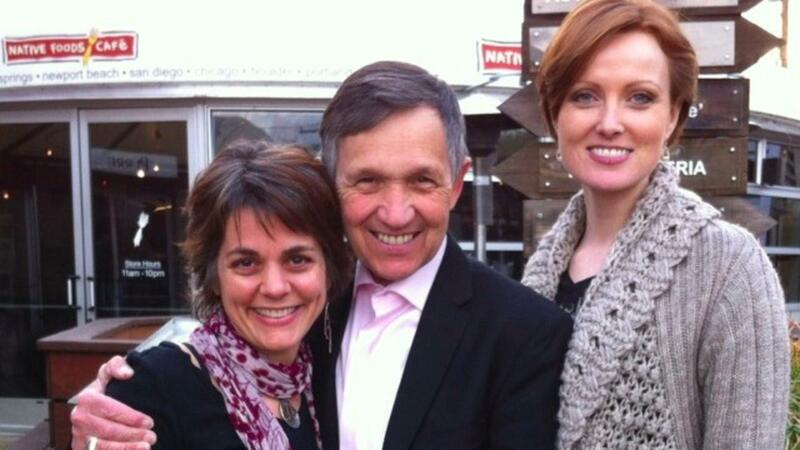 A remarkable advocate for peace, animals, the environment and organic food, Elizabeth Kucinich is an inspiration. 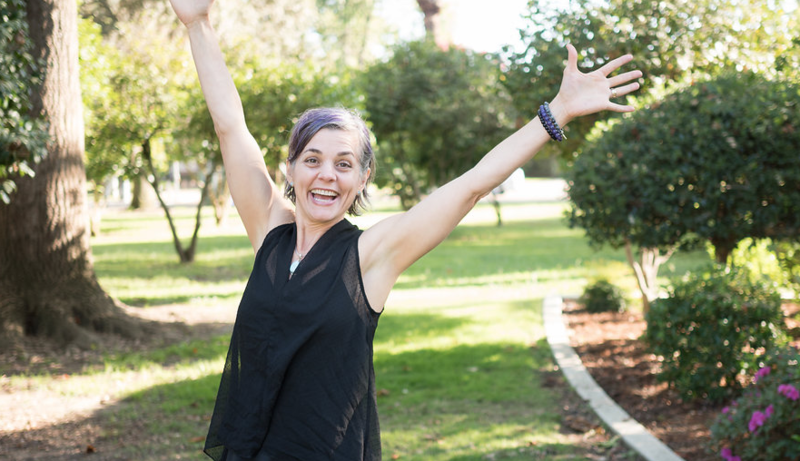 She's worked on regional development in a rural Tanzanian village, volunteered with poor children in India, directed public affairs for the Physician's Committee for Responsible Medicine, co-produced an anti-GMO film, and I could go on! If there was ever a woman who would make an exceptional First Lady, in my mind, it would be Elizabeth! Allison Rivers Samson: First of all, congratulations on your new position as Policy Director for Center for Food Safety! What goals do you have for the group and your involvement there? Elizabeth Kucinich: Thank you! It is an exciting time to be joining Center for Food Safety. For years I have worked on food issues, agriculture and sustainability. During that time I have seen Center for Food Safety become a key leader of the food movement. The food movement is really everyone who thinks about what they eat, where food comes from or how food is produced, what its effects are on our health, our environment, and our communities. Because food production is so vitally important, it has huge repercussions on all areas of policy. It is an issue where people have the power, but only if we recognize it. While the food movement has such untapped power, it is also a time of grave threats. All our gains are under threat from an industry that makes massive profits producing and selling products that are detrimental to life. An example being genetically engineered seeds that are resistant to the chemicals that the same companies also sell. For the first time ever, we are now eating herbicides on a large scale in our food supply. For the first time in history, we have herbicide resistant crops, meaning now that millions of tons of these toxic chemicals can be sprayed directly onto our food while it is growing. Wild plants are becoming resistant to herbicides and now a new generation of even deadlier chemicals are working their way through the regulatory structure (including 2,4-D, a major component of Agent Orange) at the same time the FDA is poised to approve the first genetically modified animal for human consumption. Trade talks threaten to undermine all aspects of consumer safety and put regulatory ceilings in place that protect corporate profits. To answer your question, my goals are to help Center for Food Safety fight for strong organic certifications; strong regulatory protections for consumers, for animals, and for farm workers; and to help to strengthen the gathering food movement. I chose Center for Food Safety because CFS is the leader on these issues, and it is the place where I believe I can be most impactful. ARS: I’m so glad we have you on our side and that there are passionate organizations working to resist the industries that profit from sickness and detriment. What are some of the major threats our food system faces today? EK: Our food system is threatened by an increasingly toxic agricultural model that privileges chemistry over biology, synthetic chemicals over organic methods, monoculture over biodiversity, and commodity crops over real food. We are growing massive amounts of genetically engineered, pesticide laden corn for cars, animal feed, and processed foods. Yet what we need are generative, sustainable agricultural practices that actually help restore the land as we grow wholesome and healthy food. Is industrial agriculture really a model that we can see continuing 1,000 years? No. The inputs are too high and the pollutants are too many. I’m particularly focused on reducing the amount of chemicals in our food supply, which has been massively exacerbated by the introduction of pesticide resistant genetically engineered crops, and instead promote organic agricultural methods as a baseline for securing a long-lasting and healthy food system. ARS: I’m all for that! The first time we met was in LA, when you were sharing a fabulous film you co-produced on genetically modified foods, GMO OMG. The film just debuted Sept. 13th... congratulations! What has been the initial reaction to the film? 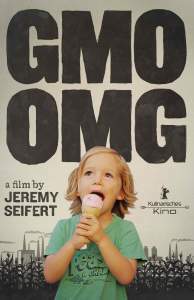 EK: GMO OMG is a fun and beautiful film that though covers a serious topic and helps the viewer explore the material in a very gentle and compassionate way. Industry’s response has been predictable; the public’s response has been fantastic! As broad as the food movement is, there are still many people out there who do not consider any aspect of food, other than eating it. When you learn about food you realize how central it and our food system is to our health, the environment, resources, animal welfare and our relationship with the world. Once you begin that journey you quickly learn that massive corporate agriculture has taken over family farms, the global seed supply, and how chemical companies are determining the fate of the genetic future of our food and our health. We consciously empowered the viewer through the making of this film and profiled the burgeoning food movement. ARS: It’s helpful to have hope when learning of all the atrocities being committed. What needs to be done to protect consumers from GM foods -- and where does the labeling initiative currently stand? EK: Informed consumers don’t need protecting. Informed consumers make the choice to avoid GM foods because they know it is best for their families, for the environment, and for the animals and workers on the farms. That is why labeling is so important. Consumers need to understand a choice exists before they are able to make a choice. Under current FDA policy, consumers don’t have a choice. In its 1992 policy statement, the FDA allowed GE foods to be marketed without labeling because they were not “materially” different from other foods. The FDA severely limited what it considered “material” to only changes in food that could be recognized by taste, smell or other senses. Two decades later we know that consumers care more about what they eat than just what they can see, taste, touch or smell. Consumers wouldn’t reasonably assume a corn to have Bt insecticidal protein or fish to have anti-freeze DNA from an artic eel. The use of novel food technologies like genetic engineering on a commercial scale has so far slipped underneath FDA’s limited threshold for “materiality” because such technologies make silent, genetic, and molecular changes to food that are not capable of being detected by human senses. Since the labeling petition was filed, over 1.5 million comments have been submitted in support of labeling. No response from FDA. In California, the biotech industry spent over $45 million dollars to narrowly defeat a labeling ballot initiative. Misleading advertising barely squeaked out a victory, and they are even more afraid of a labeling campaign in Washington State. I-522 has the potential to win and the biotech industry is responding by dumping millions of dollars into the race. It will be a struggle. Consumer advocates can’t match that level of fundraising, but we are confident that the consumers will ultimately win. Labeling bills have already passed in states like Vermont and Maine. Just recently, Senator Boxer and Congressman DeFazio picked up the work of my husband, former Congressman Dennis Kucinich, and reintroduced legislation that would establish a national labeling requirement. It is an uphill battle, but one that consumers must ultimately win. The present battleground is Washington State. We have just a couple of weeks to win this election. Everyone needs to be engaged and encourage their friends in the state to vote for labeling. ARS: You're also a new real estate agent! What interests you in doing real estate work? EK: As someone who has spent much of my life traveling and living out of a suitcase, I value the importance of home. It is the place where individuals become families and the wayfarer finds sanctuary. I love helping people find the place that they call home, and funds I raise from this business, I share with charitable causes. My company is called Capitol Estates and I work in the DC area, but refer to agents across the country. People who would like to see their dollars go to a good cause, rather than just profit, like to use my services as a referral agent. ARS: What a great way to marry fun and altruism! With all the benevolent work you do, are you able to schedule some self-care? If so, what are your top tips? EK: During the spring and fall I love to be in the garden. There’s nothing like compost and plants to lift the spirits! Since leaving Congress, Dennis and I have had more opportunities to spend time together without the pressure of the world bearing in. It’s been the most wonderful year so far in our eight years of marriage. When at home, after all work events are over, we like to snuggle on the sofa with our three dogs watching Netflix. The poor man is being indoctrinated with dated British TV comedy series. Thank you so much for your time, Elizabeth; it's an honor to get to share a peek inside your life with our readers. What an inspiration you are!